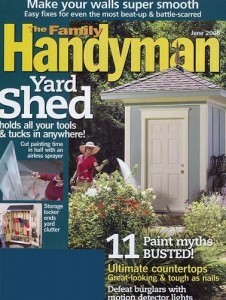 Get a subscription to Family Handyman Magazine for only $4.99 per year (75% off). You can order up to 4 years at this price! Just enter coupon code CHEAPSKATE at checkout before 11:59 a.m. EST on 5/21/13 to grab this deal. Family Handyman is one of my favorite magazines – it’s full of tips for the DIY-er looking to save money and covers a huge variety of topics like home improvement and remodeling, yard and garden care, auto maintenance, energy efficiency, decorating and more. This would make a nice gift for a new homeowner or someone who loves tackling projects around the house.